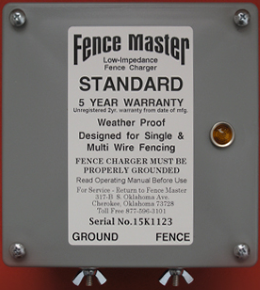 Fence Master America Electric Fence Chargers are designed, tested and approved by professional cattlemen. 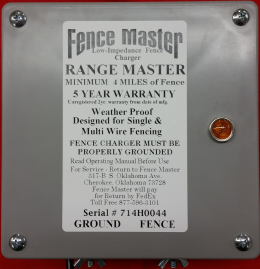 Our electric chargers are weather proof and backed by our five year warranty. This charger delivers more power than other chargers. 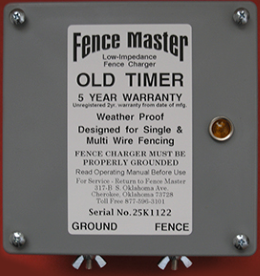 5-Year WARRANTY when registered (unregistered chargers get 2-year WARRANTY from Date of Mfg).